Welcome to our pop up newsroom! What’s next for Calgary? Let’s dig in at the library. The 7th edition of The Sprawl has begun! 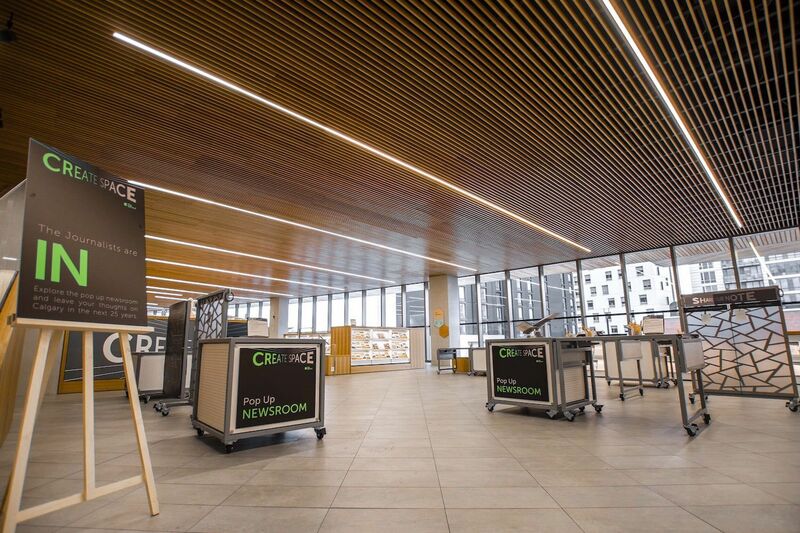 For this iteration of our ongoing journalistic experiment, we're collaborating with the Calgary Public Library on a temporary pop up newsroom in the new Central Library. 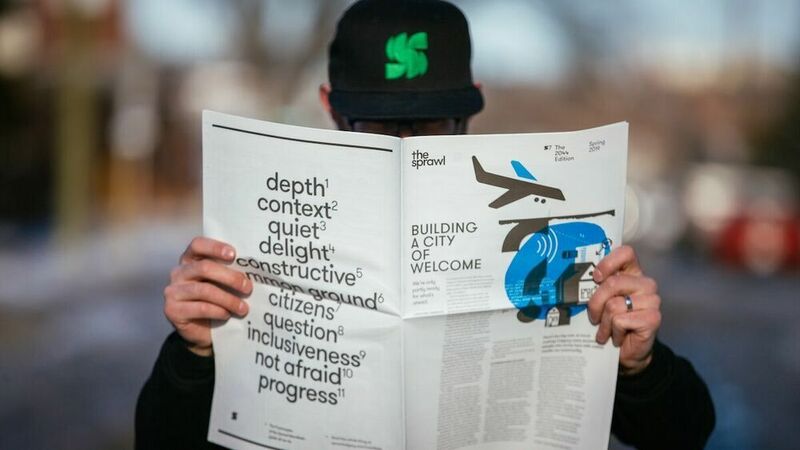 The 2044 Edition of The Sprawl will focus on what's next for Calgary—economically, socially, culturally and more. Where do we want to be in 25 years? That question was the talk of the town after the Olympic bid plebiscite in November, but it seems to have already receded somewhat. We think it's worth investigating. And we're putting that question to you: what kind of Calgary do you want to live in? At the pop up newsroom, you can have your say. We'll publish online for the next two months, and at the end make a small-run, hard-copy newspaper that will be a resource for citizens, policymakers and anyone who cares about Calgary's future. This kind of partnership is exciting new terrain for journalists and libraries alike. In the U.S., libraries in cities such as Kansas City and San Antonio have partnered with news organizations in recent years to help communities better understand themselves. "Librarians and journalists can be powerful allies," observed consultant Laurie Putnam in 2017. "As a librarian who writes, I see every day that the substance of our work, in the library and the newsroom, is formed of similar elements." "Questions and answers. Connections and community. Thoughtful research and accurate information." Here in Calgary, I've often wondered: How can we take the concept of a newsroom and bust it open? In a traditional newsroom, editors decide, more or less arbitrarily, what is "news" and what isn't. What if we let Calgarians into that discussion? What might we learn? 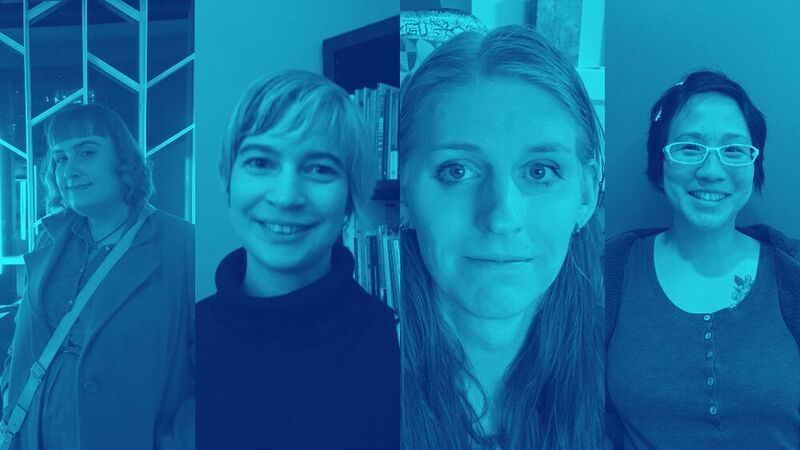 While The Sprawl has been experimenting with "slow journalism" (see the Sprawl Manifesto), the library has been redefining its community role in recent years. The new Central Library, with its abundant light, wood and glass, is the most striking manifestation of this evolution. The library is keenly interested in civic engagement. The Create Space, where our pop up newsroom is located, is a place for Calgarians to engage in respectful dialogue on important issues. This brings us to my favourite part of the newsroom: the local history element. We can't have a clear-eyed conversation about Calgary's future without an honest look at its past. We're not the first people to wrestle with this question of where Calgary should go next. This is a perennial discussion and we can learn from how this question has been addressed before. We can learn from our successes and missteps alike. 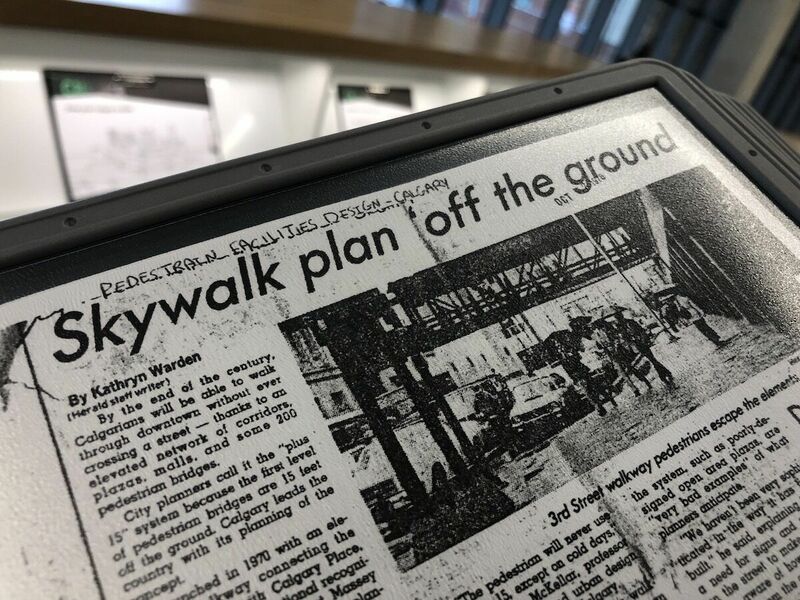 To this end, the library has set up the newsroom with lots of old newspaper articles, city plans and historical postcards. Think of it as a curated Calgary newsstand of sorts from years past. And if you want to go further in your research, you don't have to go far. 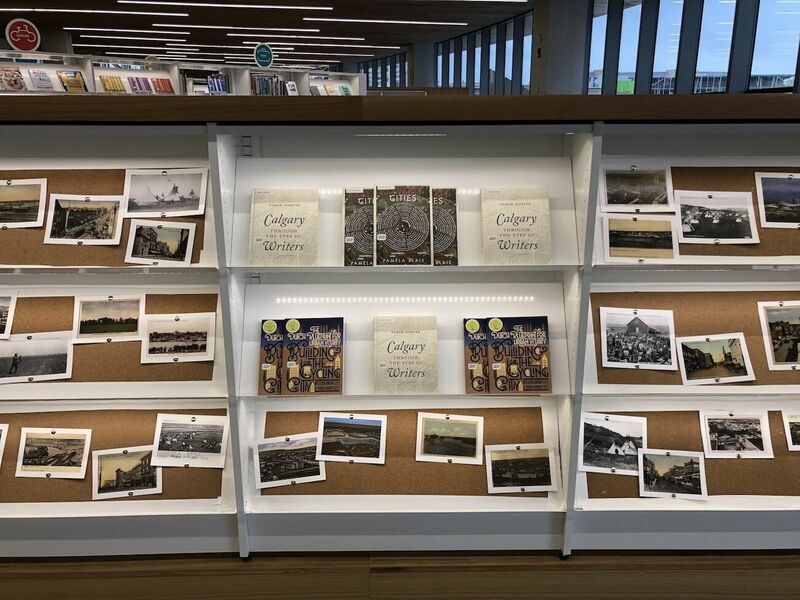 The library's local history section (recently rebranded as "Calgary's Story") on the 4th floor is a goldmine. Lois Hole, Alberta's former Lieutenant Governor and a relentless champion of libraries, once described libraries as a "a gathering place for everyone, a free and open public square" where all could share equally in the collective wisdom and imagination of humanity. She noted that it's not just history that comes alive at a library. It's philosophy, art, music, science and more. Now we can add journalism to her list. A library is a place where we can uncover the deepest truths, where we can examine the thoughts and actions of others and in so doing find better ways of conducting ourselves. 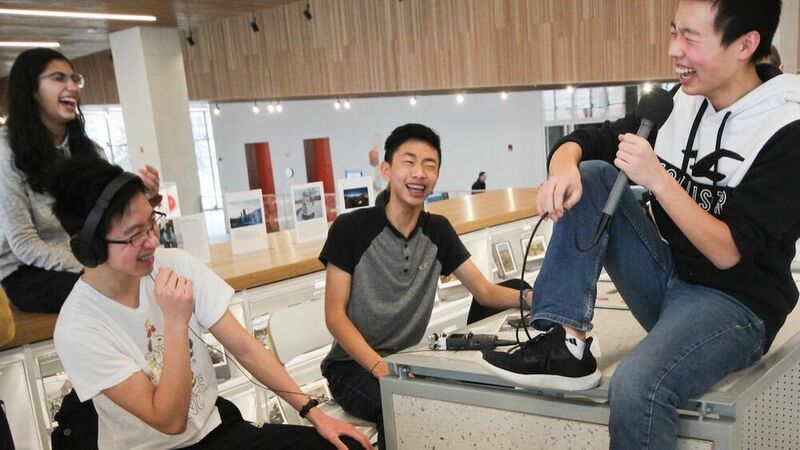 We're also doing a live recording of Sprawlcast at the library theatre on Saturday, February 2. Join us for a lively conversation about Calgary's future. Panelists include local author Shaun Hunter, urban planner Francisco Alaniz Uribe and city councillor Jyoti Gondek. You can register on the library website (the event is free). See you around the newsroom!